These placemaking workshops will explore creative ideas around architecture. We understand that our built environment impacts on our personal well-being, economic prosperity, and social cohesion. So how do we create that kind of environment? The aim of this series is to inform and inspire creative discourse and to kickstart dialogue between citizens on their built environment. This workshop will explore how the public space around Galway’s Cathedral can be reimagined. It will include a walking tour to the Cathedral on Nun’s Island followed by a community brainstorm session with invited speakers back at the O’Donoghue Centre an Theatre NUI Galway. 'Re-evaluating Street Life; Enabling practical conservation. This workshop, is led by Deirdre McDermott MIPI MRIAI and Caitriona Noonan MRIAI. It is the third of a three phase pilot project for small Irish towns. Phase one and two looked at the town of Gort. This workshop will explore residents’ perceptions through mapping and community initiatives and heritage-led community-driven, grassroots approaches for the economic revitalization of traditional urban centers/buildings, by owners and townspeople themselves. This workshop will explore the future masterplan for Nun’s Island. NUI Galway is looking to work in partnership with Galway City Council to establish a development proposal for Nun’s Island that will bring wide scale benefit to the city as a whole. The island has frontage onto the River Corrib and contains a number of canal waterways. The masterplan has the development potential to extend the public realm across the river creating further connections to the City. This workshop will be run by Philip Crowe, co-founder of Space Engagers, a social enterprise that draws on mapping to engage citizens with the spaces in which they live, to bring about positive change. 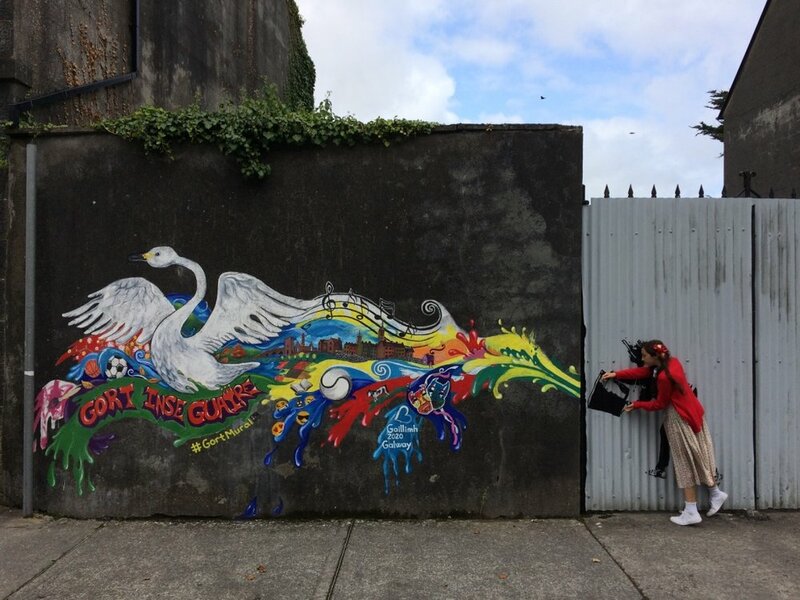 Roisin Cure who will lead a small group in urban sketching. An exhibition of the work will then be on display back in the O’Donoghue Centre and Theatre NUIG.